Early Proof Lincoln Cents from 1909 to 1916 are extremely difficult to purchase at today’s levels. When these coins are available they bring premiums to previous prices if they are nice for the grade. Even average coins are in demand because of the lack of coins in the marketplace. Registry collectors remain avid buyers for the highest grades; this week’s Wholesale Dealer Price Guide shows the 1914 in PR68 Red advanced to $95,000. Demand remains consistent for Washington Quarters. However, there appears to be some dates where the number of coins in the market is more than current demand. Therefore, it takes some discounting to sell these issues. In addition, there are some dates that advanced so much in the last two years that it was time for them to back off somewhat. There are numerous declines for many issues from 1932 to the 1960s, mostly in the grades from MS62 to MS66. Since Gold broke the $1,000 barrier in mid March it has steadily moved downward. It is currently just above the $880 mark. When Gold was moving toward its record high, there were noticeable premiums for most Modern Gold (and Platinum) coins in the highest grades. With the precipitous drop in these metals, the premiums for the most common modern issues have dwindled. 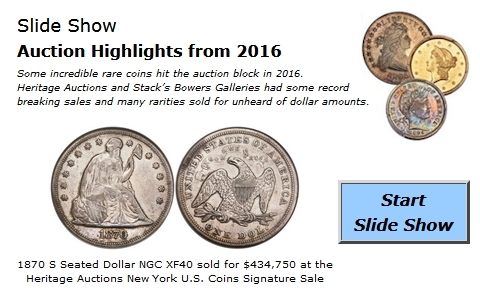 Dealers are consistently trading certified modern bullion issues at levels very close to their intrinsic value.